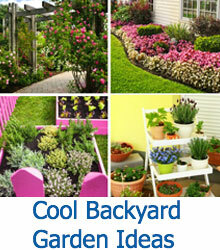 Create a relaxing environment on your patio or yard. 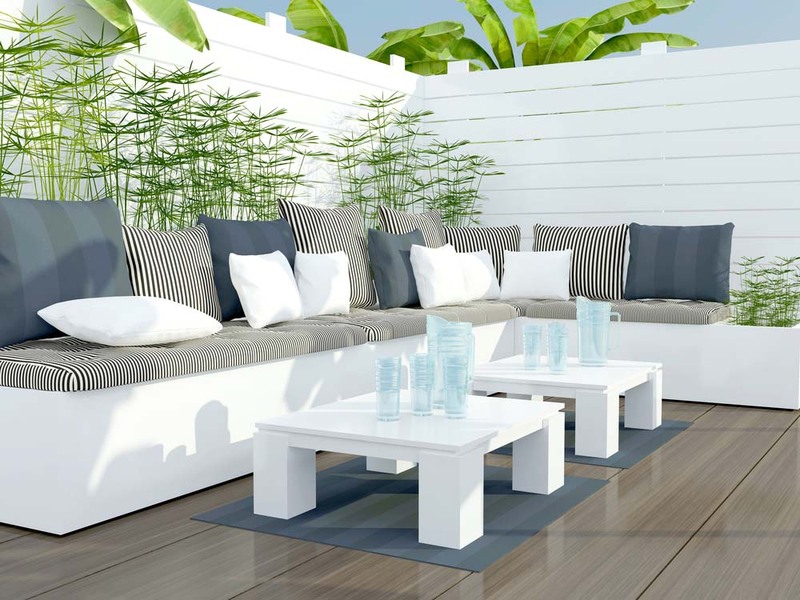 Browse through these seating ideas an get started in transforming your yard into a nice place to hang-out. One of the best parts of spring is sitting outside and soaking up some sun. 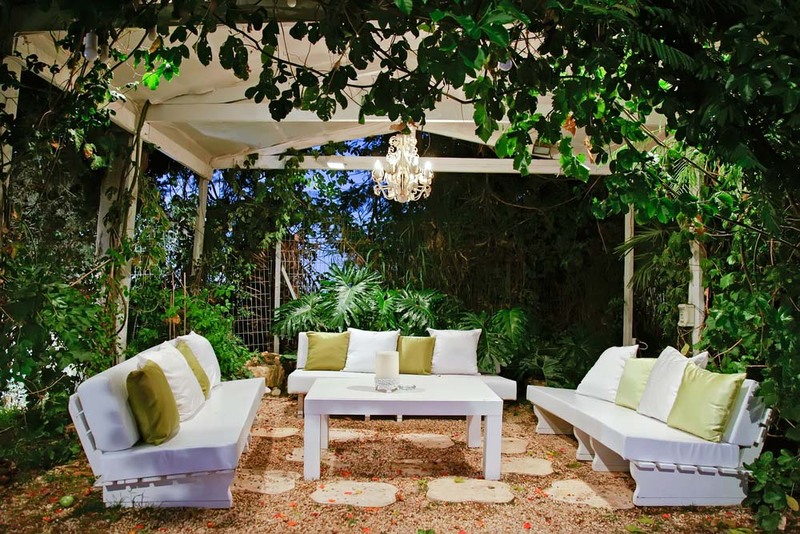 Whether you like to nap in the sunshine on the weekends, sit outside in the garden and sip your morning coffee in a comfy chair, or even swing under a pergola, there are as many options for seating as you can imagine. This collection features a range of styles of garden seating, from wicker armchairs to hanging egg-shaped chairs. 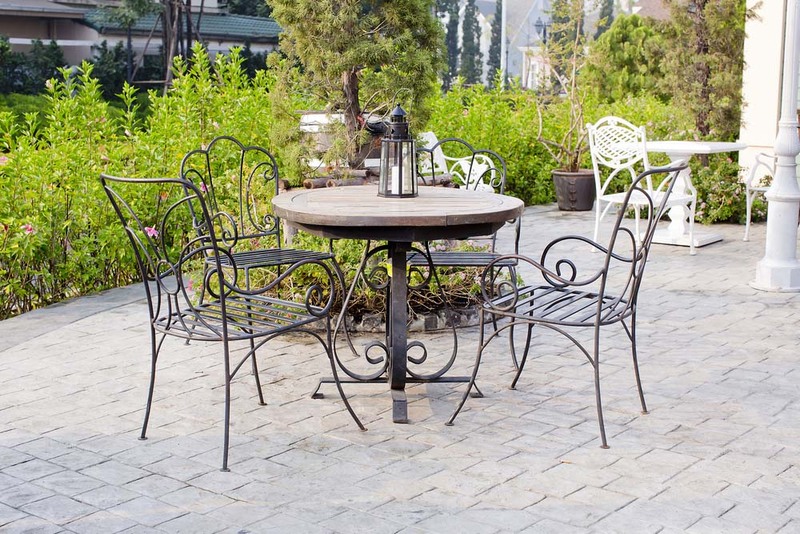 Some of these styles are traditional patio furniture, like sectionals. 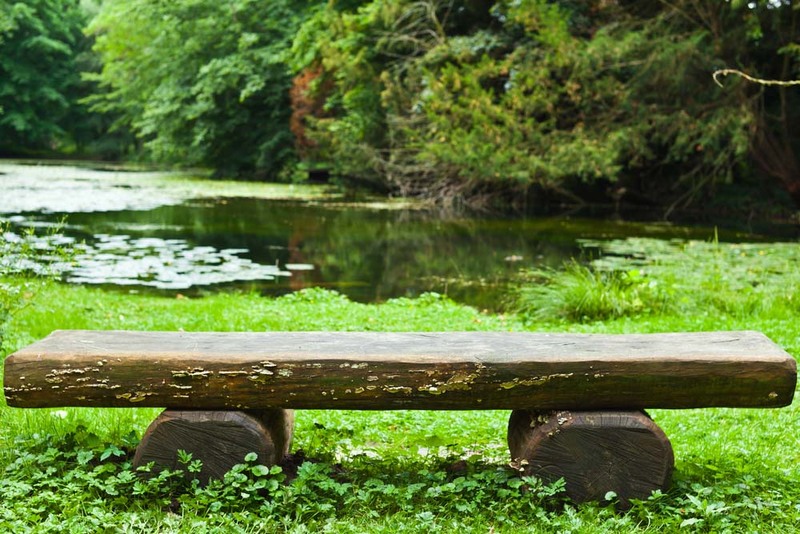 Others invoke the feeling of a public park bench, while still others are works of art. No matter your style, size of garden, or what level of comfort you prefer, you can find a chair or sofa to fit your lifestyle and encourage you to sit outside and enjoy all your hardwork! 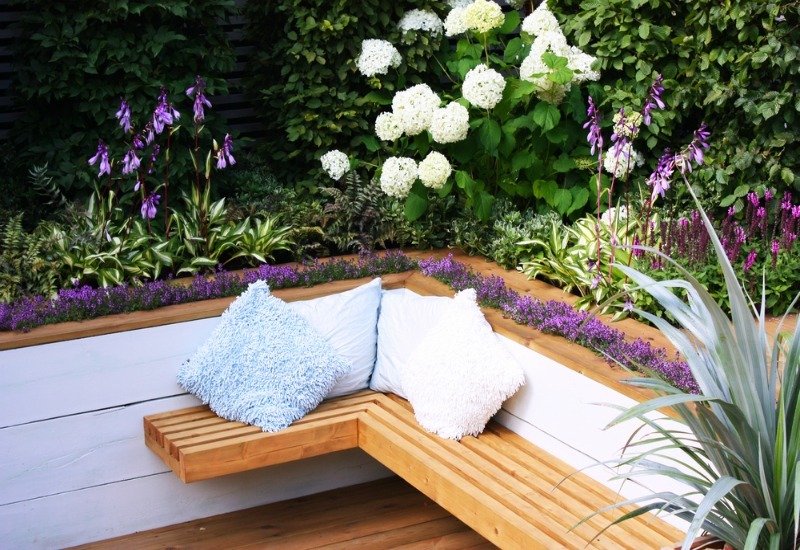 From simple benches made out of recycled pallets to bright tile creations, we hope you’ll enjoy these fantastic examples of garden benches that add comfort and personality to your garden! 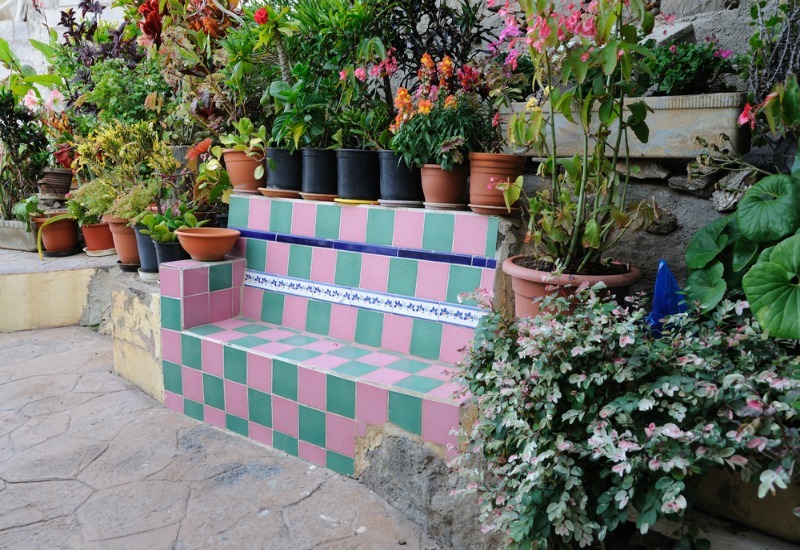 A simple tile garden bench in Spain is in light pink and teal and surrounded by a container garden. This type of seating can be crafted into an already existing stone or concrete barrier wall. 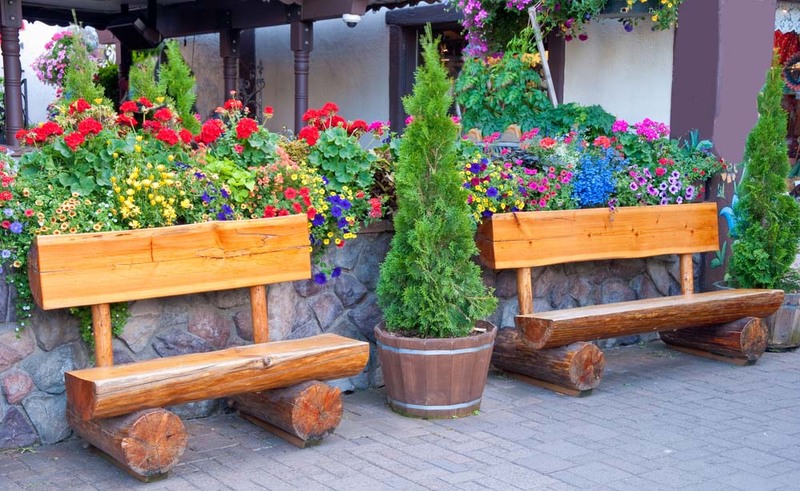 If you’re looking for more of a rustic feel, try these rustic split-log benches. These are perfect for a cabin-style home, or even a country home. 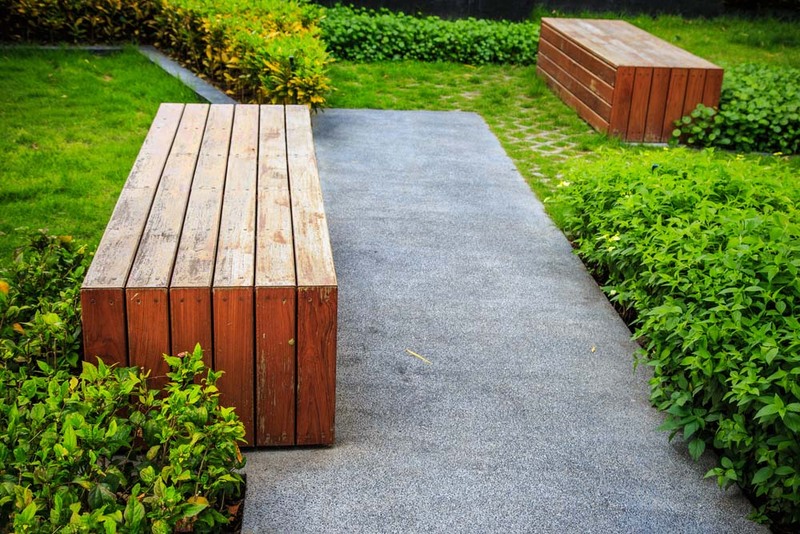 A simple floating wooden bench built into a sunken patio allows you to rest in the midst of a lush garden, instead of above it. The bench is long enough to lay on, if desired. A simple wood and iron park bench, painted any color you desire, is an easy way to add both seating and color to your garden. 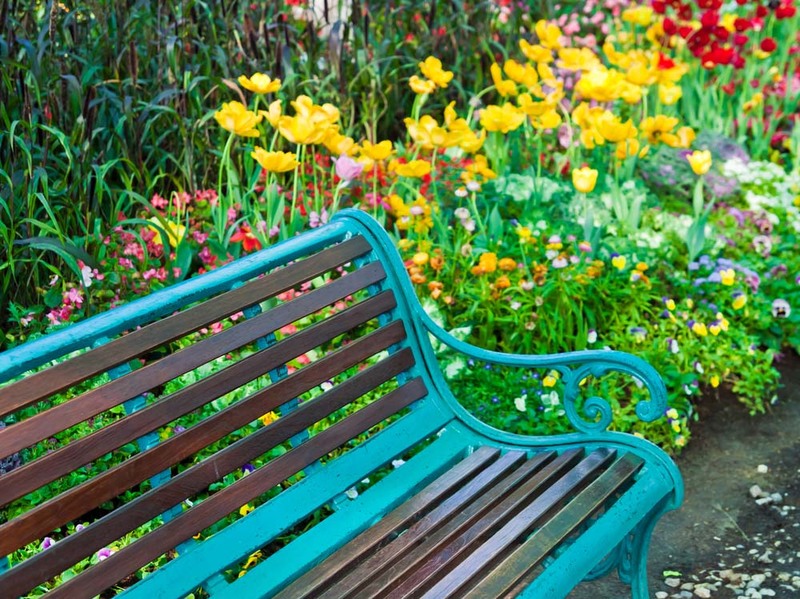 The bench pictured here sits along a stone path beside a thick mass of flowers. 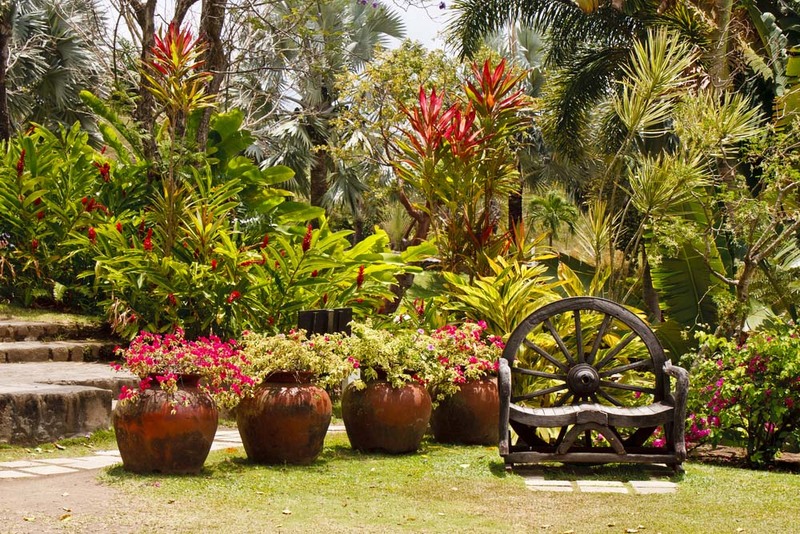 This seating option would be at home in any country or rustic garden, and doesn’t look out of place even in a tropical garden as pictured below. This piece is made out of an old wagon wheel and the seat curves twice, making it perfect for two. A covered pergola with a light chandelier sets the mood to relax on three wooden armless sofas. Thick white foam cushions are topped with several plush throw pillows to make the sofas even more cozy. 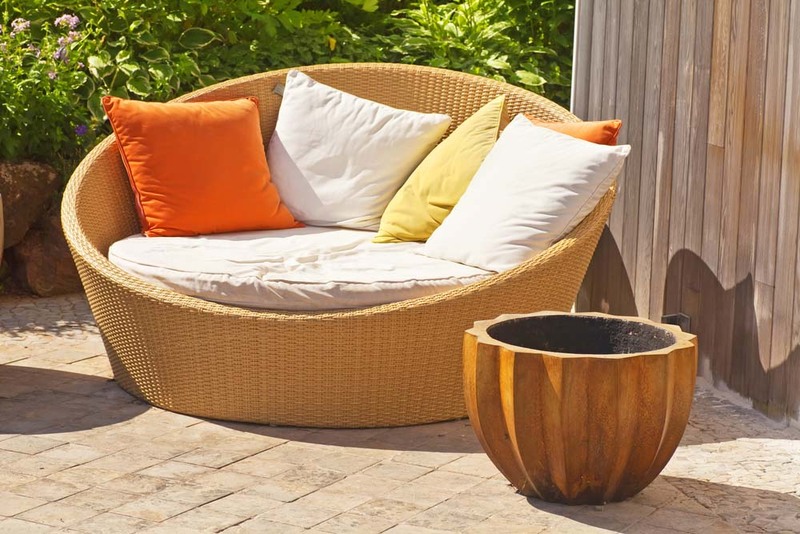 This simply designed wicker seat is curved and perfect for curling up on a sunny day, whether you’re reading or drinking coffee. The size makes it perfect for afternoon naps too! 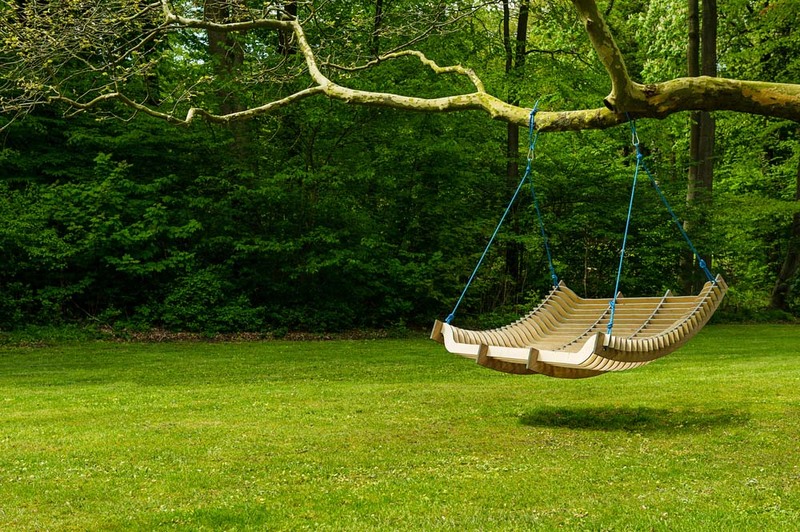 With a sturdy tree, a large swing for two can be put up in your back yard. This seat allows you to feel the breeze and to rock gently, and is large enough for two to recline. 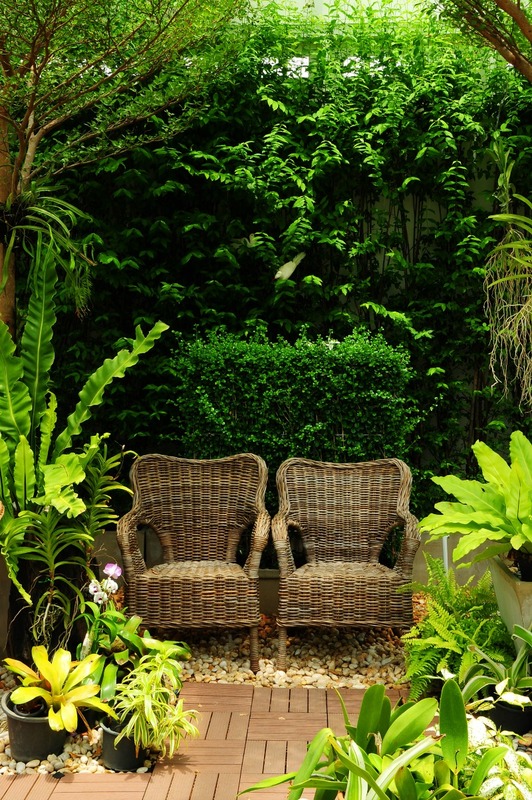 Against a vertical garden and hedges are two wicker armchairs. The trees and other plants create a pergola-like shade. Stones beneath the chairs ensure proper drainage after rain. Another take on a split log bench for a rustic cabin. Here is an easy to DIY garden bench you can build in a single afternoon, and large enough to seat several people. They age well, looking more rustic as fungi and other plants grow on them. These rectangular crate benches are made of recycled pallets and are easy and simple for any garden. 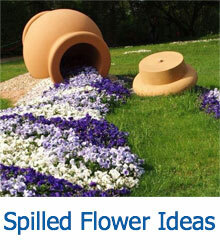 They can be placed both on or off pathways, and can be stained or painted to fit your sense of style. 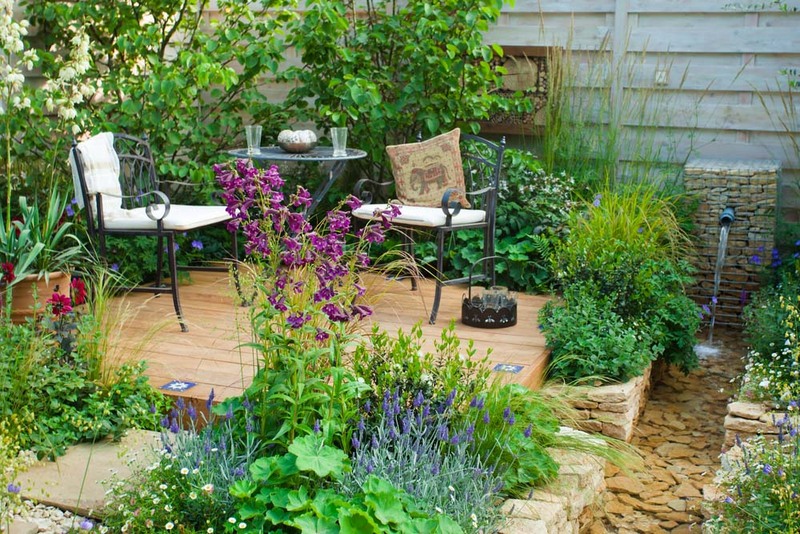 In large backyards, creating an oasis with a privacy screen allows you to relax in one section of the yard while other members of the household work, play, or relax in another section of the yard. A simple bench with cushions is an easy way to create a private seating area. Another version of the wrought iron table and chairs, this time with a wooden table top. 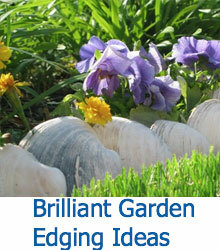 These look great anywhere in a garden, from a stone patio, as shown below, or in the midst of a section of landscaping. 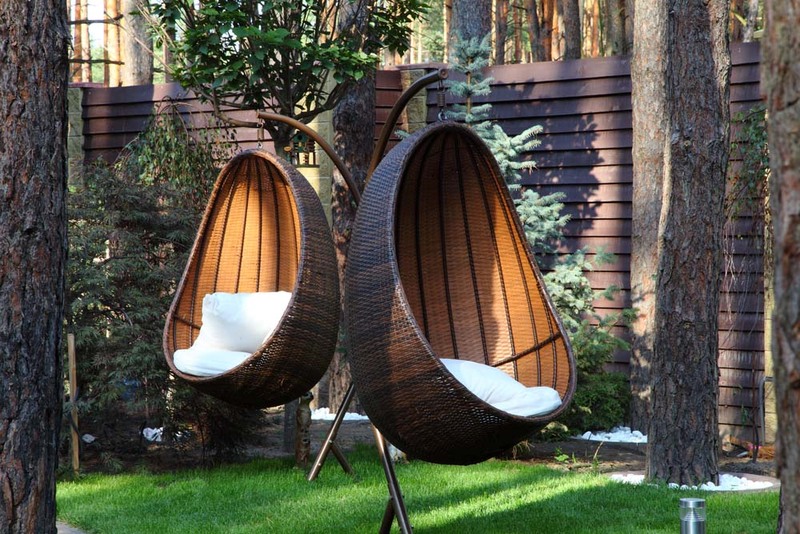 Like a swing hanging from a large tree, these wicker egg chairs sway in the breeze and are easy to rock. However, a sturdy stand means that even if you don’t have a tree large enough to hang a swinging chair, you can still own one or more of these chairs.